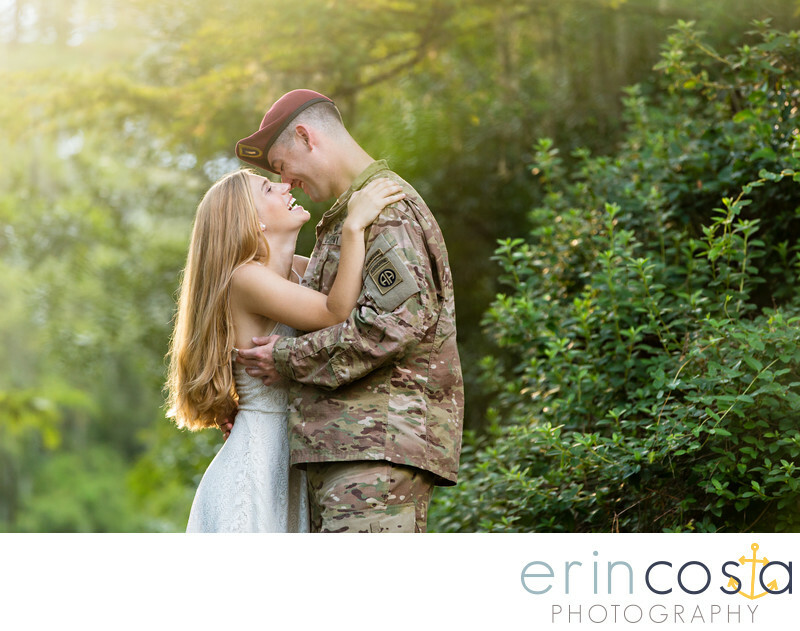 We love this adorable military engagement session at Greenfield Park and Gardens in downtown Wilmington. We never tire of photographing engagement sessions at Greenfield Park and Gardens! The beautiful Spanish moss, the lake and lush greenery make for the perfect backdrop for every engagement session. Location: Greenfield Park and Gardens.